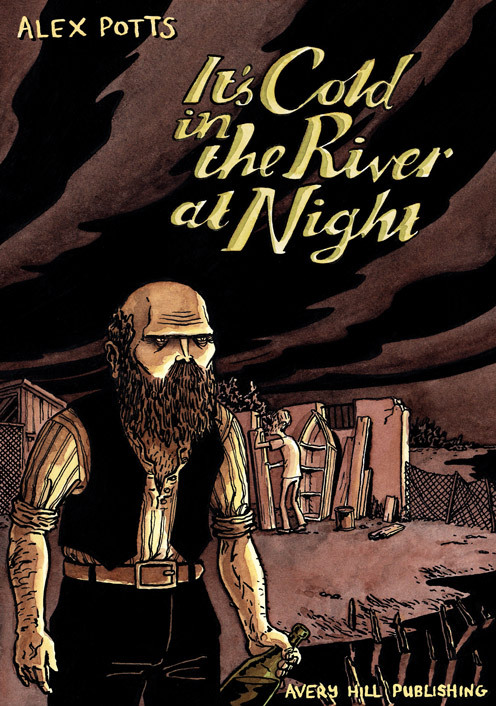 Alex Potts - Animation, Illustration, Comics, Storyboards: It's Cold in the River at Night - now available! It's Cold in the River at Night - now available! That's right, you can order it now from the Avery Hill shop! Alternatively you could order it from your local comic shop, or from Waterstones. Some reviews are now in, my favourite is here, although be aware that it gives away quite a lot of the story. You could read this short write-up by Broken Frontier's Andy Oliver instead. Yes, read both, and then order it.